Emerging out of the ashes of the nuclear apocalypse, no one has been more successful and determined than Ryan Cawdor and his band of warrior survivalists. But if the wasteland's endless miles come 'between them, the odds for getting back together again--for their very survival--are not in their favor. A cryptic message regarding the long-missing Trader sends Ryan and the Armorer on an odyssey to the Pacific Northwest, away from their base, away from their band of warrior survivalists, away from Krysty Wroth. 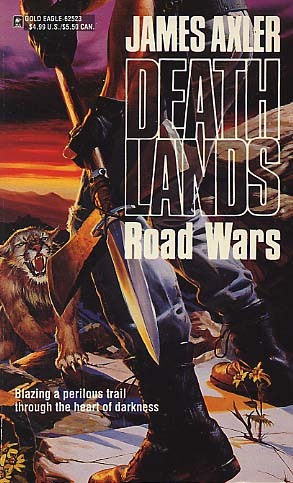 While Ryan battles the blood-hungry predators of the road, back in New Mexico, Krysty Wroth and the others fight off attacks against their weakened group in an all-out struggle for survival. In the Deathlands, fate and chance are clashing with frightening force.